This lamp belongs to the metal halide lamp, can produce very strong radiation within the range of wavelength of 350nm-450nm, main peak value is 420nm. Especially suitable for ps sun board , exposing, the film, resin edition and photoengraving etc in Photochemistry domain. Its advantages are time shorter, efficiency higher, and guarantee board and sensitization quality, etc. The power of Iodine gallium lamp is from 500w-8kw, and which has passed the measuring of National light Testing Centre , with the characteristic of accurate peak value and starting fast. Take * indicate that the lamp which starts quickly. Beijing XiYiYuan Special Lamp Ltd. Company is lived in the capital of China, and is well known in China. 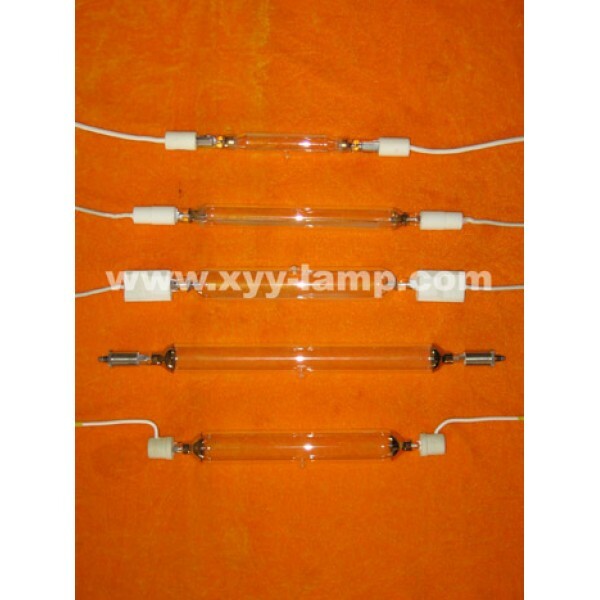 Beijing XiYiYuan Special Lamp Ltd. Company originates from ChaoYang Special Bulb Factory. The lamps are best sold to the whole mainland, the East South Asia, Middle East District, also to Europe and America. For supporting more service, we already set branches in the mainland, will set in the abroad. Our company has been developed as a comprehensive enterprise manufacturing lot kinds of special illuminants, accessory electrical appliances in large scale. Our factory possesses advanced special manufacturing equipment and a perfect system of testing in order to provide a reliable insurance to the quality of products. With the progress of the age and the technology, XiYiYuan will create more beautiful tomorrow with you! Creative, perfect, honest and win between you and we! We can produce tens kinds of lamps, including Ultraviolet High Pressure Mercury Lamp, Iodine gallium light, Capillary-Type Super High Pressure Mercury Lamp, High Ultraviolet Metallic Halide Lamp, Ultraviolet Germicidal Lamp and Infra-red Lamp. We can produce the all kinds of different lamps for you and develop new type illuminant. Produce many kinds of accessory electric appliance, including translator, transformer, trigger, capacity and reflect etc. Accurate electric date and full range of specifications and suit for large, middle and small sizes equipments. “Made to measure” is our greatest strength. We can design many kinds of sun board tool, UV Curing machine, Tumble machine, which is fabricated simply, scientific realistic date, good quality and cheap price. According to market require, this department also undertake some reform project, such as offset point machine add to UV Curing machine. Professional designer and operator will support the technology; help the client to solve the problem, support the information in time and recommend the new productivity all over the world.